Double trouble: The 1977 paper on identical twins helped establish the importance of genetics in autism. Autism is caused by poor parenting, particularly by ‘frigidʼ mothers who reject their children. Such a statement would seem bizarre today. But 30 years ago parents, especially mothers, were blamed for their childrenʼs autism. Imagine what it must have felt like to be the parent of a child with autism and then to be told it was all your fault. This environment prevailed even after Leo Kanner, who first characterized autism in 1943, assumed it was caused ‘constitutionallyʼ. But then in 1977, one study, published in the Journal of Child Psychology and Psychiatry, single-handedly turned the field around to recognize the importance of genetics. It was a study of 21 pairs of British twins by Susan Folstein and Michael Rutter. For 10 pairs of fraternal (dizygotic, or DZ) twins in which at least one twin was diagnosed with autism using strict criteria, not a single co-twin was diagnosed with autism. That is, concordance for fraternal twin pairs was zero. Previous studies had also found a lack of resemblance for non-twin siblings. Because heritable disorders are expected to run in families, this was one of the reasons the possibility of genetic influence on autism had not been given serious consideration. The Folstein and Rutter paper indicated why this might happen: autism at that time was diagnosed very rarely (2-4 children out of 10,000). Because the population frequency was so low, the rate in siblings would be low even if heritability were high. Another complicating factor is that individuals with severe autism rarely marry and have children, so parent-offspring resemblance is also not observed. 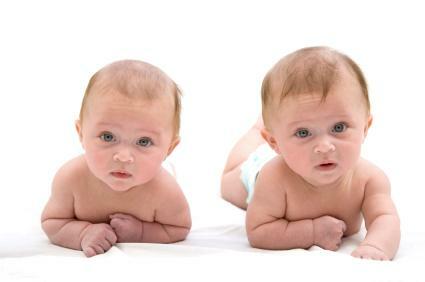 The stunning result from the Folstein and Rutter study came from 11 pairs of identical (monozygotic, or MZ) twins, who are genetically as identical as clones. Of the 11 pairs, 4 (36%) were concordant for strictly diagnosed autism. One strength of the study design is that the researchers used case histories from interviews with the parents and from observations of the 42 children so that they were blind as to whether the children were members of an identical or fraternal twin pair. “The MZ-DZ difference in concordance for autism and the much larger difference in concordance for cognitive disorder clearly points strongly to the importance of genetic factors in the aetiology of autism. Indeed, the size of the MZ-DZ difference, together with the population frequency of autism indicate a very high heritability” (p. 307). Although the sample size was small, the MZ-DZ difference was statistically significant and the study was so carefully conducted and thoughtfully presented that it had a huge impact on the field, and has become one of the most highly cited papers in the field. Subsequent studies have confirmed its finding of substantial genetic influence. Indeed, only one twin study of autism has been cited more than the 1977 paper, and that is a follow-up twin study in 1995 by Rutter and his colleagues with a sample twice as large and including the original twin sample2. The follow-up study, using similarly strict criteria for the diagnosis of autism, suggested even greater genetic influence, with concordances of 60 percent for MZ twins and zero percent for DZ twins diagnosed autism. Other twin studies have without fail confirmed the Folstein and Rutter results. On the basis of the Folstein and Rutter twin study and its replications, autism went from being thought of as an environmentally-caused disorder to being considered one of the most heritable psychiatric disorders. As a result, as molecular genetic research geared up in the 1980s, autism was one of the first targets. However, Folstein and Rutter were prescient in noting that genetic influence on autism is not due to just one gene ― a single-gene effect would have yielded greater sibling concordance. The possibility that genetic influence on autism may be due to many genes of small effect size could explain why progress has been slow in identifying the culprits. The 1977 paper warrants re-reading because it made several other discoveries that continue to shape the research agenda for autism. One of the most important findings concerns the diagnosis of autism. Anticipating the concept of autism spectrum disorders ― “the possibility that the genetic factor might apply to a broader range of disorders than autism per se” ― Folstein and Rutter obtained detailed assessments of social, emotional, cognitive and linguistic functions for all 42 children. The striking finding here was that the evidence for genetic influence was even stronger for autism spectrum disorders: Concordance was 82 percent for identical twins and 10 percent for fraternal twins. The authors concluded that “autism is genetically linked with a broader range of cognitive disorders.” This finding was also confirmed in the follow-up study: for the broader diagnosis of autism spectrum disorders, concordances were 92 percent for MZ twins and 10 percent for DZ twins. This Folstein and Rutter finding has an important implication for molecular genetic research beyond pointing to autism as a prime target for gene-hunting. It is often assumed in molecular genetics that narrowly diagnosed disorders will be more heritable and simpler genetically. However, a message from the Folstein and Rutter study is that, at least for autism, the broader phenotype might be a better target.